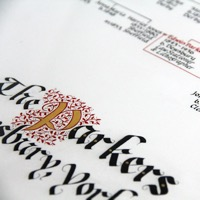 From her home near Tintern, professional calligrapher Hilary Hopgood produces calligraphy to commission for private and corporate clients, creating both traditional and contemporary styles of work. Each piece is unique, often containing illumination or artwork and uses traditional techniques and materials. 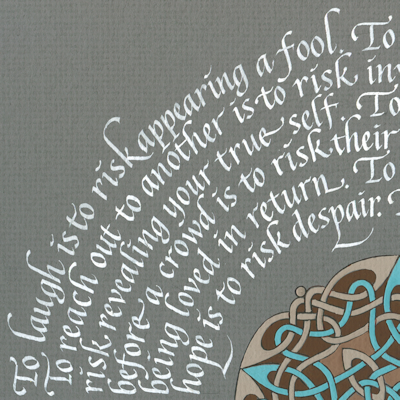 She also sells her own original calligraphic pieces and prints. Please visit her website for further information and to view examples of her work or feel free to telephone and she will be very happy to discuss your calligraphy requirements with you.